Teaching is a tough job. We are part manager, part philosopher, part parent, part mentor, part babysitter, part drill-sergeant, part psychologist, oh, and I think we actually educate somewhere amidst all that. When summer rolls around, most of us need that time to regain our sanity, recharge our batteries, and reacquaint with our own families. The job is absolutely relentless. If you’re doing it right, there are very few “breaks” during the day, virtually no downtime, and you are assessing and making decisions on a nearly constant basis throughout the entire workday and typically even after it ends. Furthermore, most of these decisions have a significant impact upon a young person and are not to be taken lightly. It’s no wonder I come home almost every day with a splitting headache. We have no bonuses, no real raises, no stock options, and, if we want to stay in the classroom, very little opportunity for career advancement. On the other hand, though, teaching affords one the opportunity to truly affect the future, to positively influence hundreds (even thousands) of human lives, to change society, and to experience tremendous personal satisfaction. A teacher is never bored, always remembered, and largely autonomous. We’re paid more than many, not as much as some, and typically enjoy satisfactory health benefits (excluding dental and vision, but alas …). Oh, and let’s not forget the vacation time. We have excellent vacation time. There is simply no arguing that matter. I’ve heard many complain that we have too much vacation time, to which I typically respond by encouraging the complainer to go back to school, earn an education degree, and enjoy that same vacation time. They rarely seem enthusiastic to do so. For me, teaching is so psychologically and emotionally draining that I need the vacation time to stay sharp, enthusiastic, and able to perform the job well. But to my fellow teachers, let’s be honest — nobody wants to hear us talk about being sad or bummed to return to work. Now, when teachers do this, I totally understand. It’s not that they don’t want to teach again, it’s not that they aren’t excited to see their students and set to work forging the future, it’s not that they don’t want to earn a living. Rather, it’s that they don’t want to get back on the lock-step schedule, the chaotic unending cycle of creating, grading, and assessing, the inability to ever truly relax. Most teachers love teaching. So when they complain about returning to work, they are really lamenting spending less time with their own family, losing a liberal amount of freedom in their schedules, and putting an end to ample traveling and personal pursuits. But here’s the problem — the public at large do not take such considerations into account, nor should they. When they hear a teacher complain about going back to work in August, we should not expect them to take that statement beyond face value. So the issue is that we have the public, many of whom are parents, who believe that teachers don’t want to be in front of the kids. Of course, this sets the wrong tone for the start of the school year, even if it’s not what’s truly in our hearts. As teachers, we are always watching, assessing, judging, and criticizing. However, we are also always being watched, assessed, judged, and criticized. It’s important to remember that a simple off-hand joke could be repeated by a talkative pal, a tweet could become a trend, and a Facebook post can always be shared. In 2010, I decided I was going to fight hard to always stay positive at work. I’d spent several years going way too far the other direction, and it had real adverse implications on my mindset, my health, even my job performance. They say you are what you eat; I believe you are also what you think. So, six years ago, I told myself I wanted to be a force for good. Hokey, I know, but true. I wanted to try to stay positive — for myself, for my own children, my wife, my coworkers, my administrators, and for my students. It made a tremendous difference in all aspects of my life. There’s an old saying that goes “Fake it until you make it.” There were many, many days I had to fake it. Even to this day, there are times that negative version of myself creeps back in — none of us are perfect. But overall I try to stay positive. Life isn’t perfect, the job isn’t perfect, but honestly, I’ve got a lot to be happy about. A lot. Am I happy about going back to work? Absolutely. Would I tell you if I wasn’t? Absolutely not. We are teachers, we are role models, we set the tone. If we don’t act excited and happy to be at school, how can we expect our students to? Actions always speak louder than words with kids, so we’ve got to model what we expect. Should we sing songs and do cartwheels? Of course not, but a simple smile and a pleasant demeanor can go a long way with students, and adults, for that matter. So, to my fellow educators, I’m encouraging you to act positive about going back to work. Tell your friends you’re happy to get back to it. Share with our students’ parents how glad you are to teach their children. Let any students you bump into know that you can’t wait to see them. Set the tone. Model expectations. Be the teacher you would like your own children to have. If necessary, fake it until you make it. Blended (subtitled Using Disruptive Innovation To Improve Schools) entered my world when a representative from Edmentum recommended to my staff that we read it before going one-to-one. It’s important I provide some background before reviewing this book. My workplace, where I teach English, is rolling out a new initiative this August in which every single student will be given a laptop to use both at school and at home. I’ve been teaching since the year 2000, and I’ve been teaching predominately using traditional textbook methods and using mostly whole group instruction. One-to-one is an incredibly exciting adventure, and I’m very glad to finally reflect the society in which we live, but I’d be lying if I pretended to have any idea where to start with a classroom fully utilizing laptops. That’s where Blended has been so incredibly helpful. This book takes a big picture approach to how to utilize blended learning not only in the classroom, but as a school, as a district, even as a culture. It offers several different models of technology in the school, and it explains which model is probably best suited to your current situation. It goes into great detail as to why blended learning is vital to the student, and it especially stressed the importance of most student populations having face-to-face time with teachers. Any teacher fearful of technology replacing them will feel greatly heartened after reading Blended. It truly values the importance of professional educators working with children and young adults. I also appreciated that it explained basic terminology, offered some useful websites to help you get started, and provided several anecdotes in each chapter offering real-world examples to illustrate points being made. This book proved extremely effective at helping me wrap my head around one-to-one, it taught me several different methods I could employ in my own classroom, and it encouraged a positive attitude about technology in the classroom which will help contribute to a productive culture in my workplace. Best of all? It straight out tells you that it will not be an easy process and it will take time to find a comfortable method specific to your school and population, but it also explains how to go into blended learning purposefully and strategically. Though it gets slightly repetitive near the end, I urge you to read this book if you have any questions about one-to-one or blended learning. Personally, I would consider Blended required reading for any teacher about to embark upon technology in the classroom. I am so very excited for our school to go One-To-One this August. If you’re unfamiliar with the concept, the idea is that every student in the school will be given a laptop to use during the school day and to take home. I’m reading a book called Blended in preparation for this new initiative, and it’s really opening my mind to what a great opportunity this is for students and teachers alike. I won’t go in-depth about the book as yet, but it’s generally stating the importance of students having somewhere to go (the school), having face-to-face time with a professional adult (the teacher), and having the chance to learn in a personalized fashion that also allows them to move at a comfortable pace. Thankfully, the whole-group factory model of teaching is now a thing of the past and we can start individualizing education. How is this possible, you ask? Our school is using an Edmentum educational software tool called Plato Courseware. As you know, I’ve written about my limited experience with this software, but so far — I like it! Of course, I know until I’ve got students in the room I won’t fully grasp my feelings concerning it, but at this point I like the content it provides, the format it uses, and the pace at which it progresses. Best of all? You can edit it completely to make it fit your needs. However, Edmentum won’t be the final answer in my classroom. I plan to also utilize several different web services including Turn It In and even the Khan Academy. And that’s just scratching the surface. So, as I see it, my primary concern at the moment is where do I send my students to start, how do I keep all of this organized, and how do I help my students navigate the various websites and online tools we plan to utilize? The answer has literally been at my fingertips for over ten years — WordPress. I’ve spent a decade maintaining a website to promote my fiction, share book and movie reviews, and generally talk about whatever struck my fancy. I’ve utilized it both as a blog, but there were moments I treated it as a static webpage. As I ran through all the things I want to achieve, I realized that I’d done it all through my own website. I know what you’re thinking. “But, Scott, your website isn’t called WordPress!” It’s not, but that’s because WordPress allows me to buy a domain name and call it whatever I want. If you don’t want to buy a domain name, you can still name it whatever you want, but you’ll have “.wordpress.com” at the end of it. So, here’s the plan. I already have a totally free classroom website set up through WordPress called “Foleyd87.wordpress.com.” (Check it out if you want, but keep in mind it’s in the middle of a makeover pertaining to this article.) In the past, I treated it as a place students could go to basically download Word documents from class or to find links to any audio or visual things we covered. I used it as a static webpage, meaning it really didn’t change from day to day. Here’s where things get fun. WordPress allows you to treat it as a daily blog, instead. That means every time you post something, it shows up at the top of the webpage and it is specific to the date you posted it. WordPress also allows you link to anything on the web (as you’ve noticed from this writing), it lets you download basically any MS Office tool, you can embed video or audio, you can post polls — you can do a lot. Probably more than you would expect. Also, when you post something, you can assign it a category. This writing, for example, has been designated part of my “Gladly I Learn and Teach” category. If you wanted to click on that category alone, you would only see those articles belonging to “Gladly I Learn and Teach,” but you would see every article I’ve ever written for that category. Consequently, if you posted something and used the category “Freshman English,” your freshmen could click on that category and go back indefinitely to anything you ever posted. I also like that WordPress allows you to post a calendar that will always appear on any update you post. (You can see it on the lower left of this screen if you scroll down far enough.) For any dates on which you post, that date will be highlighted. If you click on that date, it will take you to that day and show you anything posted that day. Imagine a student is absent. They can click on the date they missed and see everything you did that day. Not only that, but if your site is interactive, they can make up the work from home on their One-To-One laptop! So, my tentative plan is that I will send the students to our class website at the start of every class. I will have that day’s events at the top of the screen and ready to go. (Remember, WordPress does this automatically for you, and you can even manipulate the dates of when you want something to appear. In other words, you can create an entry but set it to appear a week later on a specific date.) Everything will be embedded or linked. If I want them to go to Edmentum, I’ll have the specific link ready for them to click on and set to open in a new window. After that, they can click back on my site and watch an embedded or linked video I need them to see. I can then link them to a formative assessment tool or guide them to a brain break. My students won’t be on their laptop the entire period of every period, but for the times they are on the laptop, WordPress fits my needs perfectly. I have a very rudimentary example set up for you to view if you want to take a look at what I’m talking about. It’s not meant for students to ever see, but it’s something I’ve been playing with as I experimented. You can view it here. You can also explore this site which is also a WordPress site. You can customize your WordPress site in an almost limitless fashion. They have free pre-made templates and “looks” ready to go for you, or you can try to build your own (which I don’t recommend unless you’re an expert). What’s really neat, though, is you can customize their pre-made “looks” to add a little personal touch. If you work at Bloomington High School, I’d be happy to help you set up a site. Bear in mind that, like any new technology tool, playing with it is the best teacher. But I’d be glad to help you get your basic page going. If you don’t work at BHS, feel free to ask questions in the comments below. I have the privilege of teaching a reading class primarily aimed at seniors in high school. It is by and large a free-choice reading class, meaning students choose to read whatever they desire. If a student doesn’t like a book, they are welcome to put it down and pick up a different one. Some of the students come in excited with a long list of what they hope to get through during the semester. Other students are not so excited to read, and those are the students I most enjoy. I love those students in particular because I get the honor of helping them to rediscover their love of reading. It all comes down to finding the right kind of book for them. Once they discover their niche, they are off to the races. I’ve had so many tell me that they like to read again because of the class, and I tell you what, you haven’t experienced joy until you’ve heard a student say that to you. Listed below are books that always prove to be winners with my reluctant readers. I’ve tried to divide them up by very general genres, and I’ve included a very simple summary. Though this is but a small sample of literally hundreds I could recommend, I hope one of these will win over the reluctant reader in your life! 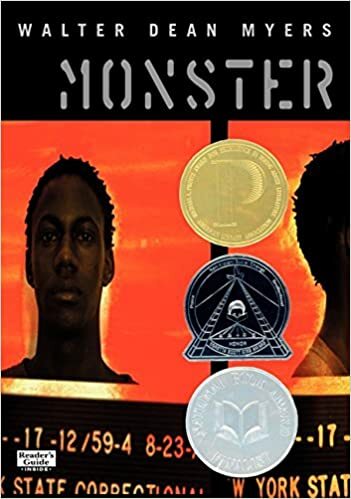 Monster – Written from his perspective, Steve is a sixteen-year-old on trial for the murder of a drugstore owner. He says he was just in the wrong place at the wrong time and had nothing to do with the killing. The prosecution refers to him as a “monster,” and the book features Steve struggling to deal with the awful stress of an uncertain future. 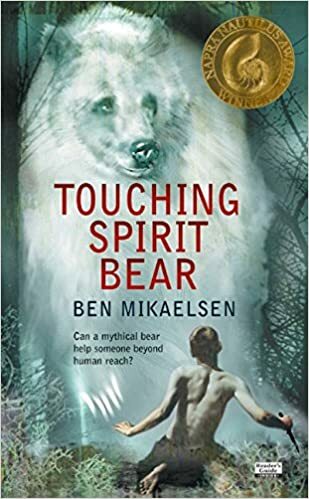 Touching Spirit Bear – Cole, a juvenile delinquent, accepts an offer to follow a Native American practice and live isolated on a deserted island rather than face jail time. Angry, unreasonable, and bitter, Cole respects nothing until he chances upon the Spirit Bear, a legendary creature that will inspire Cole to change after a violent encounter. 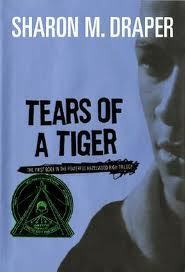 Tears Of a Tiger – When a high school superstar dies in a drunken car accident, his best friend Andy, who drove the vehicle, must deal with the guilt of the horrible tragedy. 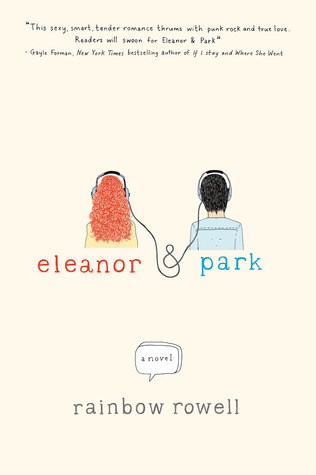 It has one of the most shocking endings students will ever read. The Fault In Our Stars – Though this book deals with very serious subject matter — teenage cancer — John Green somehow blends great humor into his characters. In order to deal with terminal cancer, the teens make fun of it and riff on it to no end. A romance ensues, but beware, there can be no happy ending with terminal illness. Fast, funny, and thought-provoking, this one is always in demand. 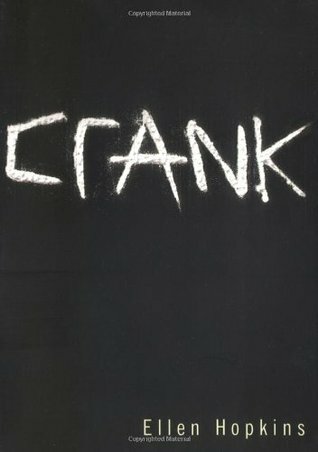 Crank – A brutal book depicting the depravities of meth addiction, this is the story of Kristina, a good girl who becomes addicted and develops a split personality to handle the awful things she does for meth. This book is graphic and pulls no punches, so be aware. Batman: Year One – This gritty book depicts Batman during his first year as a crime fighter. He is raw, inexperienced, and at his most vulnerable. Fans will love the moody art, quick dialogue, and grim characterization. 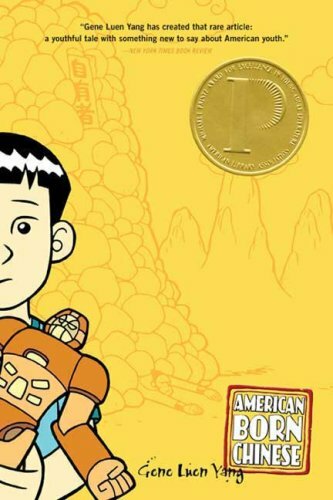 American Born Chinese – This book blends Chinese Mythology into a young boy’s life as he must deal with racism we rarely take into account. Insightful with great swatches of humor, this one very much will make a student look at life a little differently. 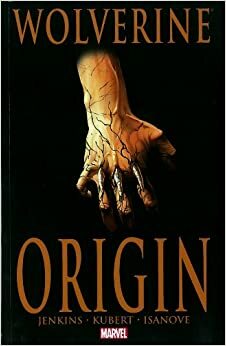 Wolverine – Students love this graphic novel because it finally provides Wolverine’s origin story. They will be shocked to learn Logan’s life is far different, and longer, than anyone expected! 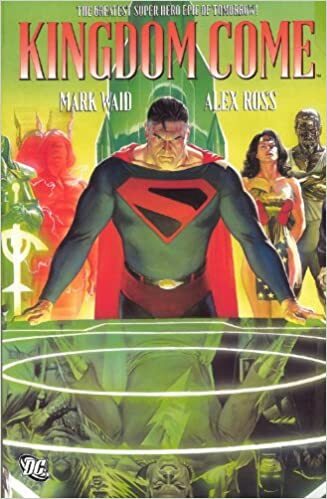 Kingdom Come – Set in the near future, this beautifully painted graphic novel deals with older classic heroes like Batman and Superman coming to terms with new, violent, immoral crime fighters. Poignant in today’s world, this story delves deeply into the problem of how far one should go to save people from themselves. The Dark Knight Returns – This graphic novel changed the entire industry. It imagines a retired Bruce Wayne in his sixties who decides to put on the cape and cowl again. However, he is not nearly as fast, agile, or reflexive, and so he must learn to become a whole new Batman if he expects to survive. Dark, violent, and generally unsettling, this story illustrates a side of Batman never before seen. All-Star Superman – This book will delight even the most casual of Superman fans. Grant Morrison has taken the best Superman stories since 1938, put a modern twist on them, and connected them into one linear, cohesive story. The art is exquisite, and this Superman is charismatic, fun, and a true hero. 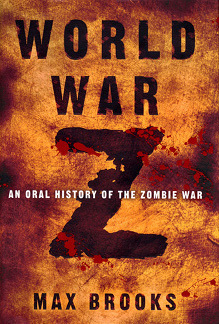 World War Z – Written as nonfiction, this book will make you forget it’s all make-believe. Delivered as a series of eye-witness accounts, field reports, and interviews, you will begin to think this book really happened and get more and more unsettled with each page. Gone Girl – If you’ve seen the movie, the huge surprise is already ruined, but this book is fantastic because it keeps you guessing and virtually none of the characters have any redeeming qualities. It’s a little bit of a thriller, a little bit of a mystery, and it will keep a student riveted throughout. Be aware, however, it is written for adults. 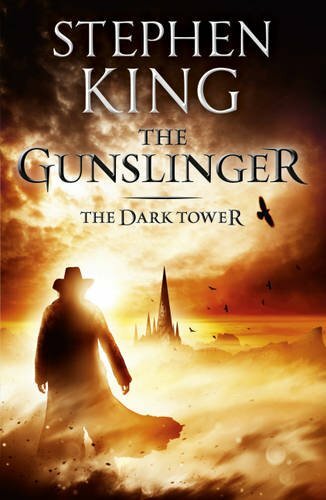 The Gunslinger – Part one of Stephen King’s epic series, Roland is a cowboy with a six-shooter forged from Excalibur who must make his way to the Dark Tower in order to restore order to reality. As the series goes on, it weaves its way into other Stephen King books, and at one point Stephen King becomes a character himself! This series is amazing because once reluctant readers get into it, the enormous size of the books don’t bother them at all! 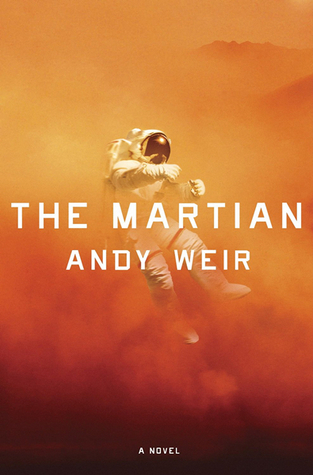 The Martian – Set in the near future, Mark Watney is left behind after a manned mission to Mars. Much of the book is from Watney’s perspective, and it’s fascinating to watch him run though the math and mechanics to keep himself alive on an inhospitable planet. Though the book is very heavily rooted in science, Watney’s sense of humor as he’s describing it makes it very entertaining to read. This is definitely a feel good book and a must-read. 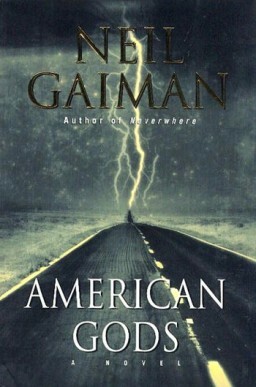 American Gods – This novel imagines the gods of the old world covertly battling the gods of the new. While it can be something of a crash course in world mythology, at its core the book is about Shadow, and ex-convict trying to find peace with his past, his present, and also his future. Lovers of the fantasy genre will adore the scope and nuance of this masterfully written work. 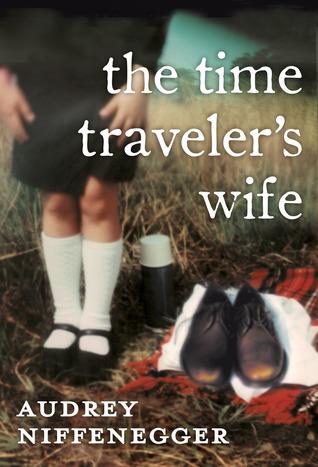 The Time Traveler’s Wife – Don’t let the title fool you, this is the absolute best time travel story that I’ve ever read. The author goes to great lengths to make sure everything is connected, logical, and executed well. The main character is genetically predisposed to lose his place in time, and in doing so, meets his wife as a little girl. But then a question arises … does he condition her to one day be his wife, or, when she meets the young adult version of him for the first time, does she condition him to be her husband? The complexities of cause and effect mixed with potent emotional moments between man and wife make for a wonderfully written, highly engaging read.